You’ve rehabbed your property – it’s all ready to stage – and now….how to sell it? This is arguably one of the toughest parts of flipping, because it’s the stage you don’t have much control over. You can’t force someone to buy your property. Perhaps you’re in a slow market or are just having a hard time attracting a buyer. Most people automatically think of contacting a real estate agent when looking to sell a property. Though that is one of the methods we teach, it isn’t the only one. We’ll walk you through three different ways to sell a property and the best ways to go about each of those methods. 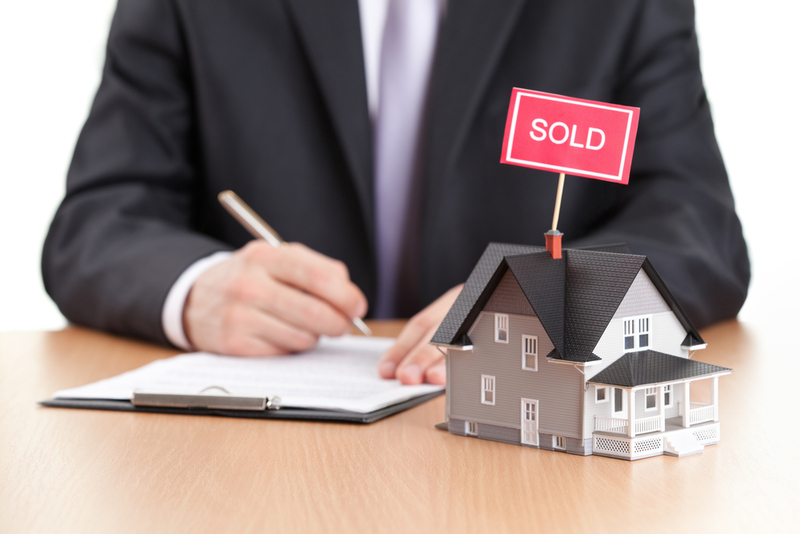 The traditional way of selling a property – it’s as simple as contacting a real estate agent to list your property. One important thing to remember: If you used a real estate agent to find your property, you can save money on commission fees if you use them to sell the property, as well. When working with a real estate agent to sell the property and list it on the MLS, make sure phrases such as “newly remodeled”, “motivated seller”, or “brand new interiors”. These types of phrases will attract potential buyers and make for a fast sell. Make sure to set deadlines for when you want the property to sell. This will motivate the real estate agent to sell the property quickly to keep their commission from the deal. Auctions are a great way to sell a property quickly or in a hot market where there is a ton of competition. There are some strategies you can use to your advantage when it comes to auctions. During the rehab process, hang up a bright banner outside the property with something like “Auction soon. Newly Renovated. $65,000 or best offer.” Get potential buyers interested before the auction even happens. The day of the auction is when the open house will take place. Stage the property nicely. Basic decorations, have some snacks available, make the buyer envision themselves and their families in the property while walking through it. This is a good way to streamline your system and create a faster auction. Have your mortgage broker ready to take applications so you can weed out the serious buyers from those who may just be browsing or in the preliminary stages of wanting a house. This is where you’ll list the potential buyers. Get their basic information: name, phone numbers, email addresses, and of course, their bidding price. Always have the start price at 65% of the after repair value of the property. The bidders don’t have to stay at the auction the entire time, you or someone else can call them if someone bids higher. Don’t fret if the price starts to get pretty high – that will just weed out those who weren’t seriously interested. Remember: You only need one buyer. Once the bidding is over, gather your list of buyers and give your top bidders one last call. Give them a chance to make any last minute best offers. Remember: you don’t have to award the property if you don’t want to. If the price or profit isn’t where you want it to be, you can sell the property to yourself and sell it a different way. This is a quick and easy way to sell a property without any additional fees. This method works in both rising and slow markets. In a hot market, you’re going to want to focus on appreciation. The type of investor that would purchase a property in this market is more than likely a landlord or wanting to turn a property into a consistent cash flow property (rental property.) The investor will be a motivated buyer so they can take advantage of the appreciation in the hot market. In a slow market, rents will increase and values will decrease. However, these types of buyers will also be landlords wanting to capitalize and collect rent money on this property. Selling to another investor is also a great way to sell a property that you may no longer to be able to afford to rehab. This is known as wholesaling. We’ll get into that another time. These methods for selling a property will give you success with healthy profit margins. Just remember to always help those who have helped you. Don’t have low commission rates. Be fair, and build your network.